Our for-profit health care system has failed communities of color and struggling families and individuals. Even after the passage of the Patient Protection and Affordable Care Act, our health care system still leaves nearly 30 million individuals uninsured and at least 40 million who can’t afford to use the insurance they have. The ability to see a provider or the ability to afford needed medications have not improved for communities of color, regardless of the expansion of insurance coverage. Insurance continues to be confusing, constantly changing, and unaffordable, having harsh impacts on communities of color. Race and income impact the care you get—or don’t get. Medicare for All can and will address the discrimination in our health care system and refocus our health care system on patient care. Want to learn more? 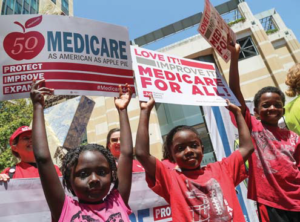 Join National Nurses United at their presentation on Medicare for All. APTP meets the third Wednesday of every month. This month we’ll be talking about our state and local campaigns to limit the police use of force. We’ll also have some updates on organizing in Vallejo in response to multiple police killings and brutality. Join us to find out how you can get involved. This space is wheelchair accessible. Please contact us for any additional accessibility questions or concerns. Introduction of joint resolution by District 2 Councilmember Nikki Fortunato Bas, District 6 Councilmember Loren Taylor, District 1 Councilmember Dan Kalb, and City Councilmember At-Large Rebecca Kaplan in support of State Assembly Bill 392, which just passed out of the State Public Safety Committee on April 9. Confirmed speakers include Cat Brooks, Anti Police-Terror Project; Cephus “Uncle Bobby” Johnson, Love Not Blood Campaign; Attorney John Burris; Attorney Dan Siegel, APTP; and Jose Pavon of CURYJ. The Oakland City Council Rules Committee meets right after this press conference at 10:45. This proposed resolution will be brought before that committee. APTP is also looking into introducing a similar control on OPD’s use of force as a city ordinance. Time to Move Beyond Income – For the first time in history the US was included in the worldwide effort to redefine extreme poverty. For the first time in history the United States was included in the worldwide effort to redefine extreme poverty. Speakers include: Jessica Bartholow, Western Center on Law and Poverty, Maryann Broxton, US Coordinator MAP Research, Boston, Guillaume Charvon, US Coordinator for the MAP research/NY Leadership Team and the St. Mary’s Center Senior Advocates for Hope and Justice. Feature documentary film, directed by Michael M. Conti, produced with Heather Boyle (USA) 70 minutes. “The Unruly Mystic: John Muir” explores the remarkable life and influential works of a patron saint of environmental activism. The film discusses the connection nature and spirituality, using the life and wisdom of John Muir, ecological preservationist and founder of Yosemite National Park, as a catalyst for how being outside in nature affects the lives of everyday people right now. John Muir played many roles in his life: mystic, prophet, author, poet, conservationist, radical, all of which helped him succeed in his role as an advocate for Nature. As America’s most famous naturalist and conservationist, Muir fought to protect the wild places he loved, places we can still visit today. Muir’s writings have profoundly shaped the ways in which we understand and envision our relationship with the natural world today, and his work has become a personal guide into the natural world for countless individuals. The film interviews noted psychiatrists, therapists, theologians, writers, and every day people and asks them to discuss their relationship with nature, and its transformative effect in their lives. Join a lively, creative action to demand that the state stop letting PG&E endanger our communities, as we head into the next wildfire season. Nothing has changed since last year’s catastrophic wildfires. PG&E is still in charge of the electrical grid, even though it has been responsible for 17 recent fires that killed dozens of people and endangered all Californians’ health. PG&E gave $4.5 billion in dividends to shareholders in the last 5 years, $0 to Camp Fire victims, and $204,800 to Gov. Newsom’s gubernatorial campaign. California can do better. We can take our power back from a corporation that values profits more than our lives, our health, and our planet. We can create a California Green New Deal, providing good jobs building a clean, safe, carbon-zero, publicly owned power grid. 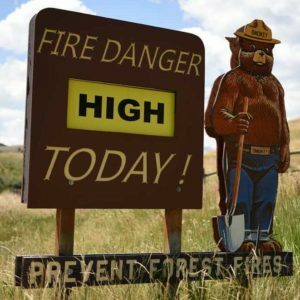 Tell the legislature and Governor Newsome to stop the ongoing PG&E disaster and build a responsible clean-energy electricity system. Key community representatives will come together to discuss urgent immigration issues that are threatening our most vulnerable communities. Drawing on diverse backgrounds, the panelists will share their expertise and perspectives on a range of issue-areas affected by recent anti-immigration policies. Learn how each of us can effectively defend our communities and defy anti-immigration policies and attitudes. Confirmed panelists include Catherine Tactaquin, (Executive Director, National Network for Immigrant and Refugee Rights), Martha Ockenfels-Martinez (Researcher, Human Impact Partners), and Lara Kiswani (Executive Director, Arab Resource & Organizing Center). Moderated by Eddie Yuen. Co-presented by the Oakland Asian Cultural Center and San Francisco Poster Syndicate. NEW: Relieving millions in local Medical Debt through pennies-on-the-dollar buyback programs. NEW: A book group and seminar focused on Economic Inequality and Economic Theory for the modern age. Berkeley Earth Day is an exciting day of inspiring, life changing fun! Berkeley Earth Day brings the Bay Area environmental community together to celebrate our vision for a sustainable future. Get inspired and connect with eco-minded comrades and learn how you can further reduce your impact on the planet and have fun doing it! This event features dozens of vendors sharing their eco-friendly products and epic activism. Hear educational and inspirational talks from experts, activists, enjoy delicious sustainable food, films and more! Compassionate Living, a non-profit organization based in the Bay Area, is proud to be the sponsor of this event. Join us for inspiring speakers, crafts, activism, veggie food, dozens of eco-vendors and much more! Berkeley Earth Day is excited to host the Wild & Scenic Film Fest. One of the nation’s premier environmental and adventure film festivals, The Wild & Scenic Film Festival is a collection of films from The South Yuba River Citizens League’s annual film festival which is now in its 16th year. Wild & Scenic focuses on films which speak to the environmental concerns and celebrations of our planet. These Films showcase frontline activism and stunning cinematography. Tickets for the FilmFest are sold separately. The UC Gill Tract Community Farm invites you to their 5th Annual Earth Day Celebration. This celebration features music, food, and children’s activities. For details, call 510.292.3418. Liberated Lens hosts a screening of Black Labor’s “Struggles in Steel”. Vote approaching – take action now! AB 857, the crucial local public banking bill, will soon come up for a vote in the Assembly’s Banking Committee and Local Government Committee. The deadline for public comment is Wednesday, April 17. Please take a moment right now to send a letter to your Assemblymember and voice your support! You can bet our representatives are hearing from the bill’s powerful opponents, the big Wall Street banks. And join us at our meeting to help support the public banking. Everyone welcome! Get involved! Please RSVP to join us on April 23rd! The San Francisco Office of Financial Empowerment and the Federal Reserve Bank of San Francisco invite you to join us on April 23rd for the first ever Bay Area Student Debt Summit, a gathering of researchers, advocates, policy makers and practitioners concerned with the growing student debt crisis and its particularly pernicious impact on the financial well-being and economic mobility of low-income communities and communities of color. Join local, state and national policy experts, advocates and practitioners to discuss the implications of important new research on student loan borrowing and repayment across the Bay Area and strategies to address this growing crisis. We need your voice and your participation! The Summit will highlight new evidence about the face of the student loan crisis in the Bay Area and inform the Office of Financial Empowerment’s new student loan debt initiative. We look forward to seeing you on April 23rd.